The last few days were soo hectic for me as it was the week I took up and also hosted the nail art challenge. I named it “trip downthe nail art lane” because of the prompts. You can check out all my seven entries here. And today I am going to review a color I extensively used in this challenge. A clean crisp white which completely does justice to the name! 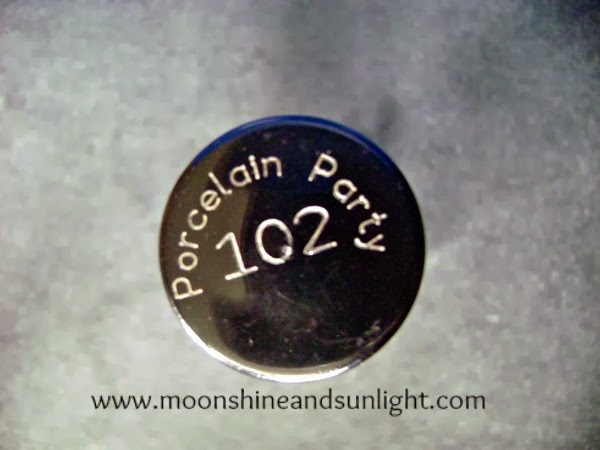 It really is Porcelain white! And is perfect for nail art base. I did two nail arts during the challenge with this. The pin marble nails and the vintage rose nails. The brush is good like all the other color show nail polishes, is very easy to handle and apply.You can check out my review of Color Show Velvet wine too. As far as consistency is concerned, it is okay if you just want to apply this but in case you are doing a nail art this would be very thick. 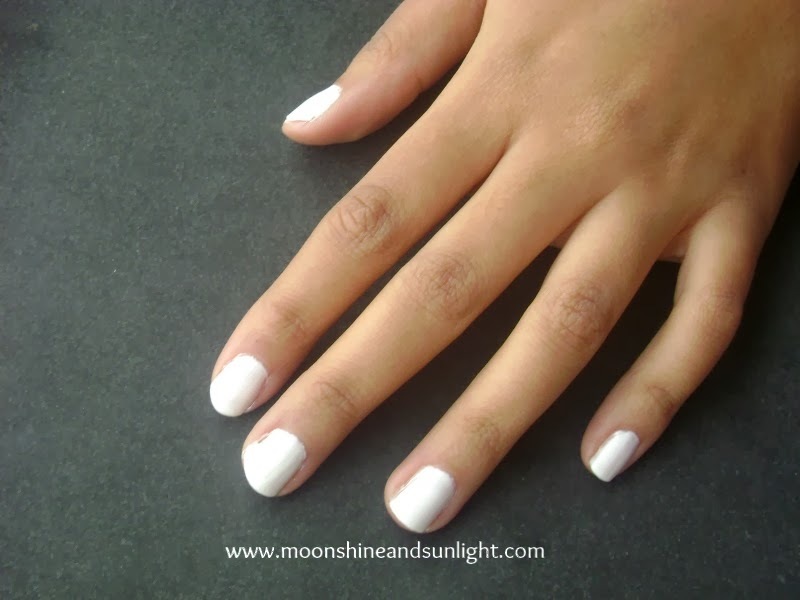 Opacity is achieved almost after three coats, which in this case is required as it is white! 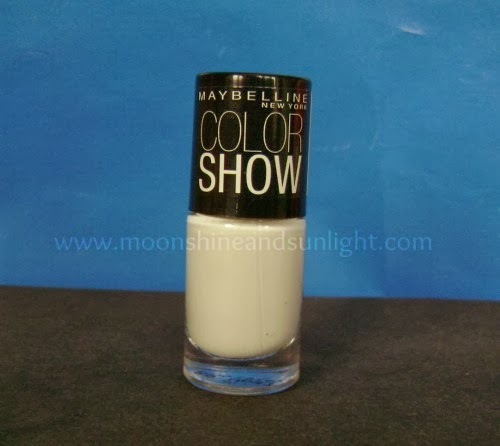 This is a very good color for applying on your nails, but not very good as a base for nail art. 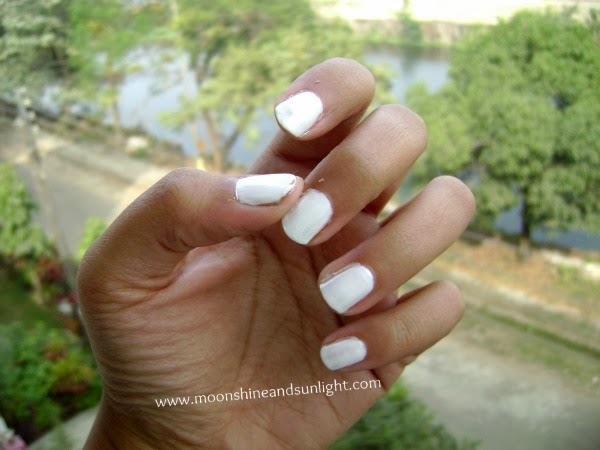 It is very pretty though i haven't tried a lot of white nail paints. Do give this a try ! it is okay for nail arts too ! Yup! the shade is really soo nice ! Thanks ! yeah i've seen them on your nails too !! looks really lovely !